5 Ways To Take Care Of Oriental Rugs! 1. 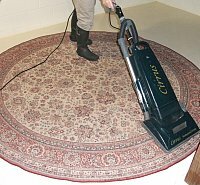 The most important step in taking care of oriental rugs is regular vacuuming. If possible, vacuum both the front and back of your rug. After vacuuming the back of the rug you will need to clean up the dirt that is dislodged from the base of the face fibers. Vacuum the front, then the back, clean up and vacuum the front once again. 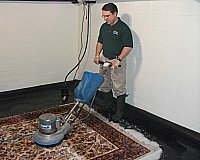 Performed at regular intervals, this vacuuming regime will prolong the life of your flooring textile. 2. In the event of a liquid spill, use white cotton towels or white paper towels to soak up any excess moisture. Then wet, rinse and blot again. For food spills, try to remove as carefully as possible with a dull knife, then follow the same steps as for liquids. 3. 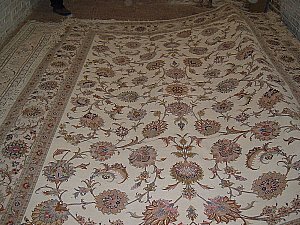 If your storing your rug for an extended period of time, take care to pack your rug with moth repellents and wrap in strong paper. 4. Use some form of protection regarding furniture legs in order to avoid crushing or tearing rug fibers over time. 5. Lastly (but not least! ), most Orientals benefit from a professional washing, but send them only to an expert who understands the care and extra attention they require.